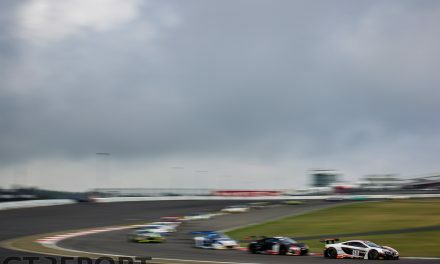 There are only a few Dutch racers who can challenge the world’s best GT drivers. One of them is Patrick Huisman. The tall driver once was the man to beat in the Porsche Supercup, but is nowadays active in the VLN championship at the Nürburgring. In this exclusive interview Huisman tells the story of his German adventure. Some years ago, after 18 seasons of success in the Porsche Supercup, Patrick Huisman made the decision to leave the international championship and move to the VLN, the endurance championship that races exclusively at the legendary Nürburgring-Nordschleife. This shift of focus was based on his desire for fair competition. 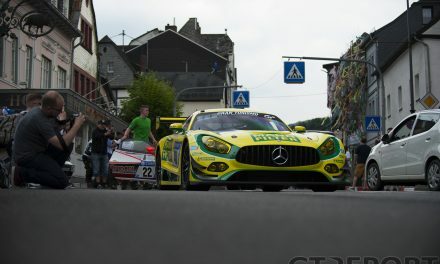 It was via his brother, the former Nürburgring 24 Hours champion Duncan Huisman, that the four times Supercup champion met the Frikadelli Racing team in 2011, and the idea was born to combine forces in 2012. Since then the privateers team of owner-driver Klaus Abbelen has become one of the powerhouses in VLN – not in the last place because of Huisman. “The past few years it was very difficult for privateers teams to score because of the success of Porsche’s factory team: Manthey Racing. We received a big aerodynamic upgrade from Porsche and factory tires from Michelin in 2013. This resulted in a competitive package and together with the growth of the team this resulted in the first victory of Frikadelli. We went on to win the Speed Trophäe for best and fastest team, which we also won in 2014. When the Porsche equipe at the end of the 2013 season celebrated their first win, Sabine Schmitz – together with Patrick Huisman and Klaus Abbelen the team’s regular driver in the Porsche 911 GT3 R – was absent. Porsche works driver Patrick Pilet substituted for her, while also being part of the four drivers’ team that took Frikadelli’s second win, in April of last year. It wasn’t until August when the Barweiler squad took their first victory with the ‘classic’ line-up of Schmitz, Abbelen and Huisman. In spite of all the success, there were some disappointments. Like during the Opel 6h ADAC Ruhr-Pokal-Rennen, which was ran under changing weather conditions. 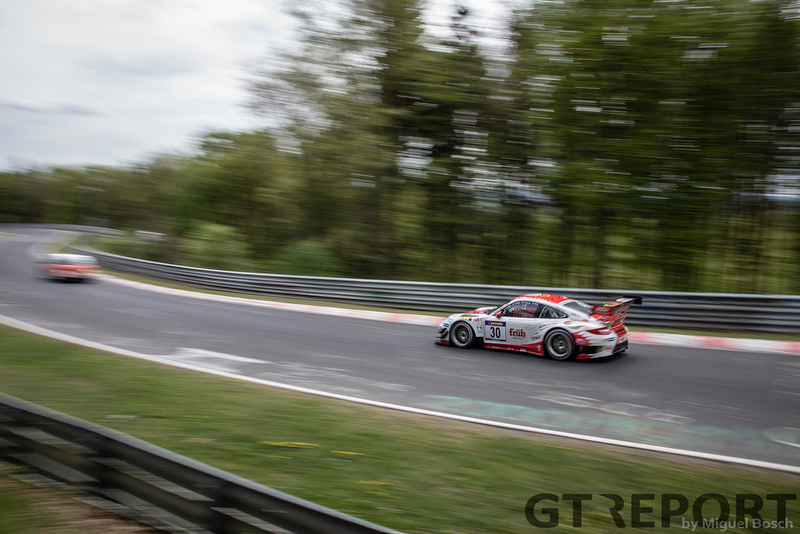 2014 saw many VLN races tainted with heavy crashes. 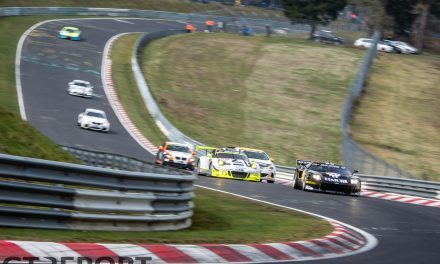 In response, the German Motor Sports Federation (DMSB) recently introduced a special Nordschleife license, the goal of which is to keep inexperienced drivers from participating in the highly competitive VLN series. When Huisman, who was the victim of a heavy crash himself as well, is asked about this new regulation, he is clear: “The number of accidents was ridiculously high,” the 48-year-old says. 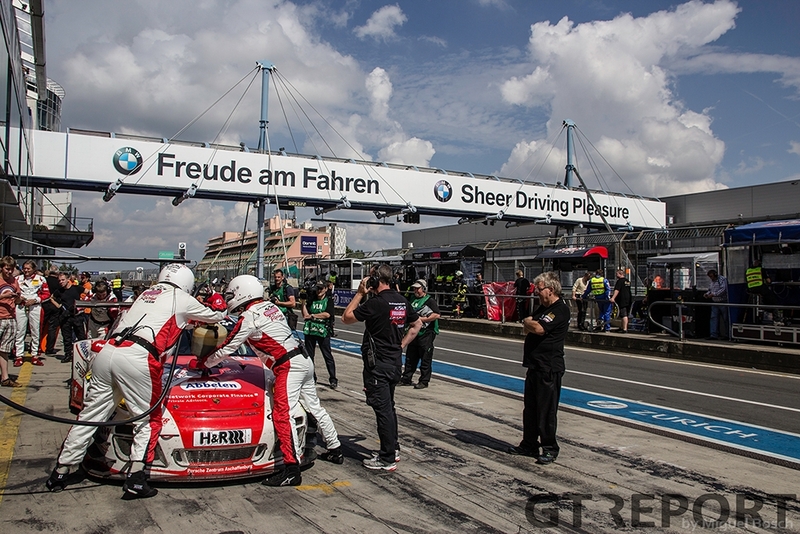 “I experienced it myself during the heaviest crash of the season, during VLN9. The way I see it, the problem is there are too many cars with similar lap times such as the Opel Astra Cup, BMW 235i Cup, Toyota GT86 Cup and the V6 class. They all do lap times of 9 to 9:30 minutes, but all together they must be about one hundred cars. That creates a lot of traffic. “In addition to that, there’s the problem of inexperience of a pretty big group of drivers, from the slowest to the fastest classes. My crash, in which I was hit from behind at Flugplatz, was a clear case of inexperience by a good driver [Andy Meyrick] in the works Bentley. 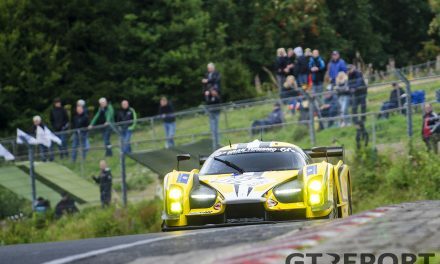 “Finally, the Code 60 [speed limit of 60 kph in yellow flag zones] is a very good rule for the Nordschleife. However, not all marshal posts handle them as good, and that can surprise you at fast and blind corners as you run into a Code 60. When you brake hard in a GT3 it’s nearly impossible for other cars to brake in time [and avoid running into you]. With the Speed Trophäe and three race wins added to his already impressive honor roll, Huisman can look back on a successful 2014. The fire for more still burns, though. “I have already achieved very much in motorsports,” Huisman reflects. “From titles in Dutch championships to four Supercup titles and victories at Le Mans, Sebring, the Nordschleife, and in the DTM. On my bucket list is, in addition to Bathurst, the outright win in the 24 Hours of the Nürburgring, so my name would be added next to Duncan on the wall of winners.